What is the top hobby that makes you smarter? Read Books. Yes, it is that easy: The top answer is Reading ( anything from books, news, pamphlets, online, offline, whatever, etc.). Just read man. I read on my way to and from work while I am on the train or bus. 30 minutes on my way to work and 30 minutes on my way back 5 days per week. I will be listing the books that I read on this page, starting with the most recent ones. This book brought me to tear. Dr Paul Kalanithi was one of the top resident neurosurgeon in the universe and as he was about to finish his residency, he was diagnosed with lung cancer at age 36. He later died 2 years later. He found the courage and strength to write this book while being terminally ill, and oh boy he wrote it beautifully. He described his life, his battle with cancer, his near death experience, his success and failure as Neurosurgeon resident and husband in an elegant and beautiful way. I STRONGLY RECOMMEND THIS BOOK TO ANYONE who wants a real life description of the intersection of sciences, medicine, literature, near death experience, critical illness, cancer, etc. Idea Man: A memoir by the cofounder of Microsoft. 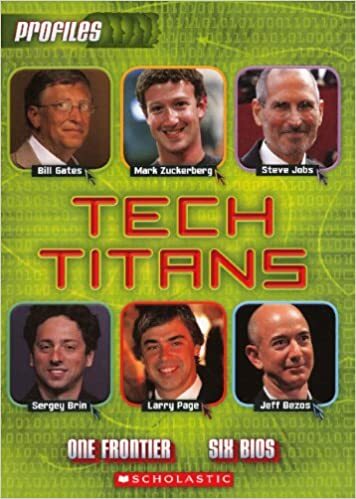 If you love technology and pro sports, you will love this book. This is one of my favourite autobiographies. Paul Allen describe how he grew up in Seattle area, meeting Bill Gates at LakeSide private school, hacking and coding for extremely long hours in their teenage days using time sharing terminals back in the day; he then pivots to his Microsoft days from the beginning with MS DOS until he left the company. He then talks about his sports team (Blazers, Seahawks, Sounders) on a fan and owner standpoint. He also talks about his passion for music, and his ongoing support for scientific research. Fascinating… Read it now. The Innovators: How a Group of Hackers, Geniuses, and Geeks Created the Digital Revolution (2014) is a nonfiction book written by Walter Isaacson. The book details the history of the digital revolution through several pivotal innovators who created early computer breakthroughs and later larger systems like the Internet. 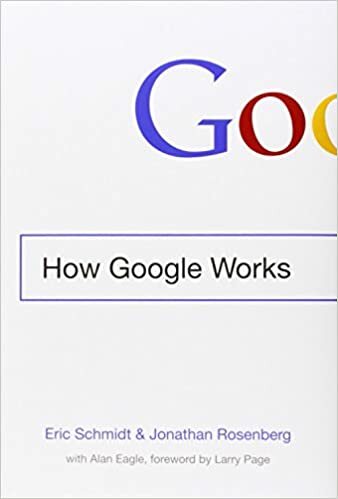 The author also asserts that many innovators’ successes throughout history happen often with the help of other contributors via teamwork. This book also delves into the topic of artificial intelligence, the founder being British computer science pioneer Alan Turing.The Innovators is an overview from the beginning of computer science to the present, and seeks to understand the results of human-machine symbiosis. Innovators covered in the book include these: Charles Babbage, Ada Lovelace, Vannevar Bush, Alan Turing, Grace Hopper, John Mauchly, John von Neumann, J.C.R. Licklider, Doug Engelbart, Robert Noyce of Intel, Bill Gates and Paul Allen of Microsoft, Steve Wozniak and Steve Jobs of Apple, Tim Berners-Lee, Larry Page of Google, Jimmy Wales of Wikipedia, and Lee Felsenstein of Osborne. 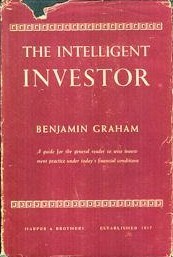 The Intelligent Investor by Benjamin Graham, first published in 1949, is a widely acclaimed book on value investing, an investment approach Graham began teaching at Columbia Business School in 1928 and subsequently refined with David Dodd. This sentiment was echoed by other Graham disciples such as Irving Kahn and Walter Schloss. Travel the world with Eric Weiner, the New York Times bestselling author of The Geography of Bliss, as he journeys from Athens to Silicon Valley—and throughout history, too—to show how creative genius flourishes in specific places at specific times. 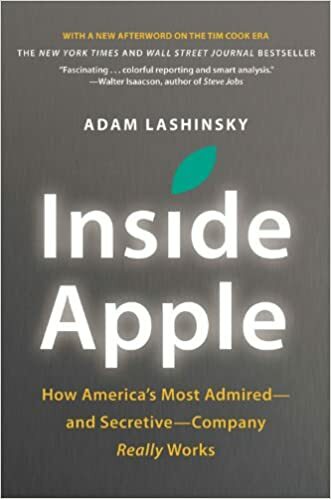 INSIDE APPLE reveals the secret systems, tactics and leadership strategies that allowed Steve Jobs and his company to churn out hit after hit and inspire a cult-like following for its products. The rules for success in the Internet Century. 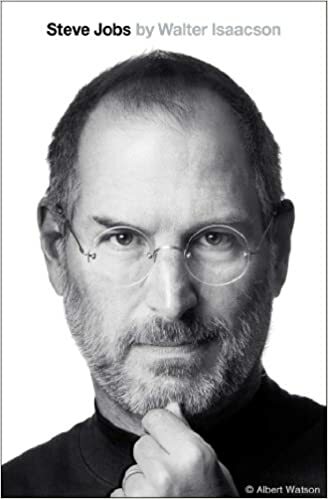 Steve Jobs in his own words. 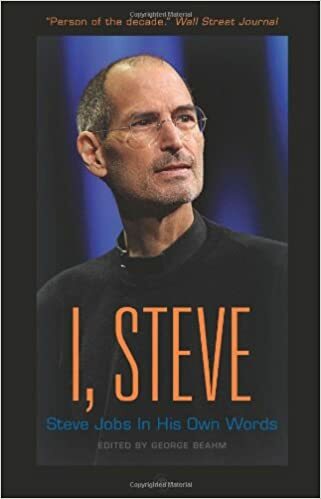 Drawn from more than three decades of media coverage—print, electronic, and online—this tribute serves up the best, most thought-provoking insights ever spoken by Steve Jobs: more than 200 quotations that are essential reading for everyone who seeks innovative solutions and inspirations applicable to their business, regardless of size. 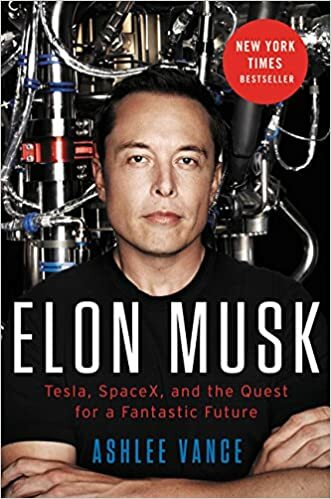 Elon Musk: Tesla, SpaceX, and the Quest for a Fantastic Future. Dreams from My Father: A Story of Race and Inheritance is a memoir by Barack Obama, who would later be elected U.S. President, that chronicles the events of his early years up until his entry into law school in 1988. Dreams from My Father was first published in 1995 as Obama was preparing to launch his political career in a campaign for Illinois Senate, five years after being elected as the first African-American president of the Harvard Law Review in 1990. 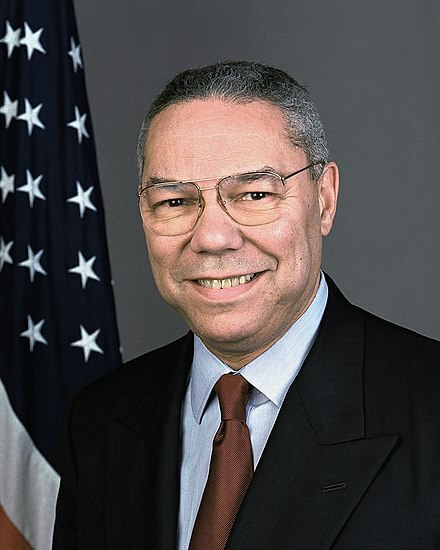 Colin Powell is the embodiment of the American dream. He was born in Harlem to immigrant parents from Jamaica. He knew the rough life of the streets. He overcame a barely average start at school. Then he joined the Army. The rest is history–Vietnam, the Pentagon, Panama, Desert Storm–but a history that until now has been known only on the surface. Here, for the first time, Colin Powell himself tells us how it happened, in a memoir distinguished by a heartfelt love of country and family, warm good humor, and a soldier’s directness. MY AMERICAN JOURNEY is the powerful story of a life well lived and well told. It is also a view from the mountaintop of the political landscape of America. At a time when Americans feel disenchanted with their leaders, General Powell’s passionate views on family, personal responsibility, and, in his own words, “the greatness of America and the opportunities it offers” inspire hope and present a blueprint for the future. An utterly absorbing account, it is history with a vision. Tap Dancing to Work compiles six decades of writing on legendary investor Warren Buffett, from Carol Loomis, the reporter who knows him best.Warren Buffett built Berkshire Hathaway into something remarkable – and Fortune journalist Carol Loomis had a front-row seat.When Carol Loomis first mentioned a little known Omaha hedge fund manager in a 1966 Fortune article, she didn’t dream that Warren Buffett would one day be considered the world’s greatest investor – nor that she and Buffett would quickly become close personal friends.As Buffett’s fortune and reputation grew, Loomis used her unique insight into Buffett’s thinking to chronicle his work for Fortune, writing and proposing scores of stories that tracked his many accomplishments – and his occasional mistakes.Now Loomis has collected and updated the best Buffett articles Fortune published between 1966 and 2012, including thirteen cover stories and a dozen pieces authored by Buffett himself. Readers will gain fresh insights into Buffett’s investment strategies and his thinking on management, philanthropy, public policy, and even parenting.Scores of Buffett books have been written, but none can claim this combination of trust between two friends, the writer’s deep understanding of Buffett’s world, and a long-term perspective.Carol Loomis, 82, is at Editor-At-Large at Fortune magazine, where she has worked since 1954. 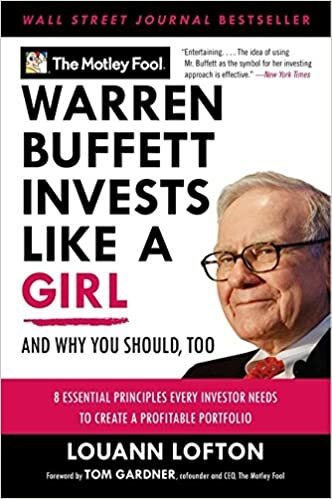 She has written extensively on Warren Buffett since 1966 and is well known as the business journalist on closest terms with him. 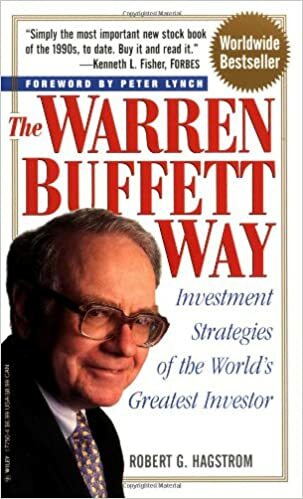 For the past 35 years she has edited Buffett’s famous and eagerly-awaited annual letter to the shareholders of Berkshire-Hathaway. Loomis’ many honours include the Gerald Loeb Lifetime Achievement Award for business journalism and the Distinguished Achievement Award from the Society of American Business Editors and Writers. Spanning five generations, sweeping across a century and a half of almost unknown history, this acclaimed and unexpectedly funny novel is the story of a man seeking himself in the mirror of his family’s past. Rich in historical detail and gracefully flowing from the slave trade of nineteenth-century Virginia to the present, Any Known Blood gives life to a story never before told, a story of five generations of a black Canadian family whose tragedies and victories merge with the American experience.